The Elara theme contains designated widget areas for the footer. You can choose to insert any of the custom or built-in widgets available in your WordPress install. To access and edit them, go to Appearance > Widgets. In the footer, widgets can be inserted into up to 5 responsive columns. 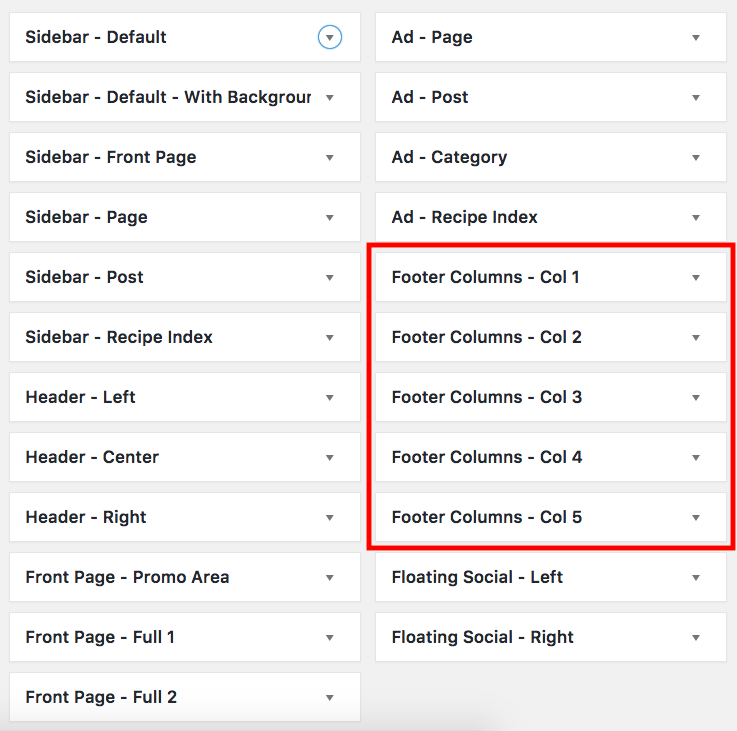 In order to have a smaller amount of columns, fill in as many as you want, and leave the remaining areas empty. This will automatically render the content in a symmetrical way. If you would like to show just one column in the center, add widgets to only one of the Footer widget areas.